The 12-title Wonders of Earth Science series covers subjects from the Earth’s Interior, Mineralogy, Meteorology, Energy, Glaciers to Understanding Earthquakes and the Ozone Blanket. Students will develop a basic understanding of the fundamentals of Earth Science and work their way up to more complex subjects. We can’t see it, but we can see what it does. We can’t hold it, but we can feel it. The wind – the essential, ever-present, yet mysterious force that flows around the world and through every part of our lives. 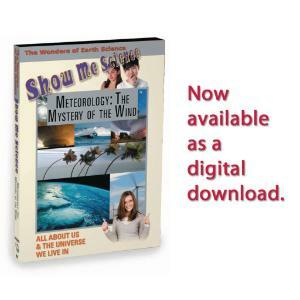 This program explains what wind is, where it comes from, how we use it and how it shapes our lives and the world around us. Includes suggestions for careers in this field of study.